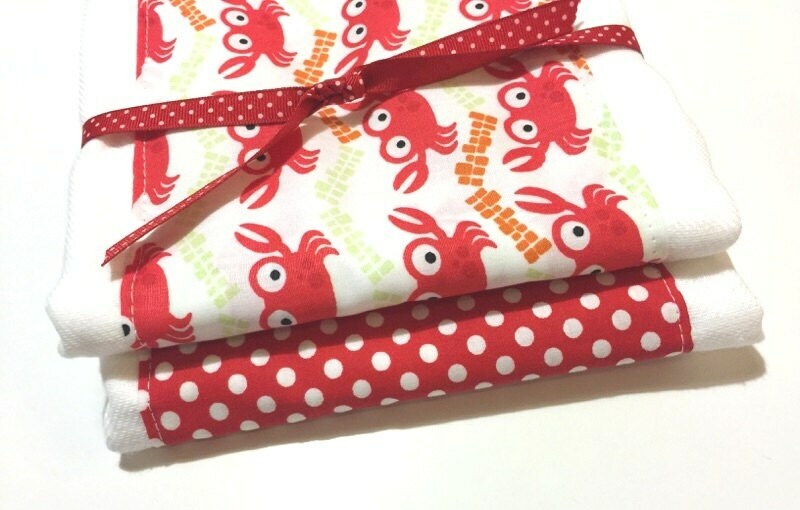 This set of two burp cloths was handmade by me using this cute fabric and cotton cloth diapers. Perfect for baby shower and welcome home gifts!! Make mommy feel special and give her a set of these trendy cloths! These cloths are made using the highest quality, premium density chinese pre-folds available. One side is embellished with cute, trendy fabric while the reverse side is to catch the spit-ups! The center strip is 6 layers thick. This means you can use it all day AND all night long! They are machine washable and are made in my smoke free/pet free home. They come tied with ribbon and ready to welcome baby! I also have other baby accessories to match- let me know if you would like another item and I can set up a listing for you. *** Stock photo used- pattern placement may differ due to item being handmade.